Furthest below is a set of photos just taken yesterday by 64 radio telescopes in the South African wilderness, called the MeerKat, of the center of our Milky Way galaxy. 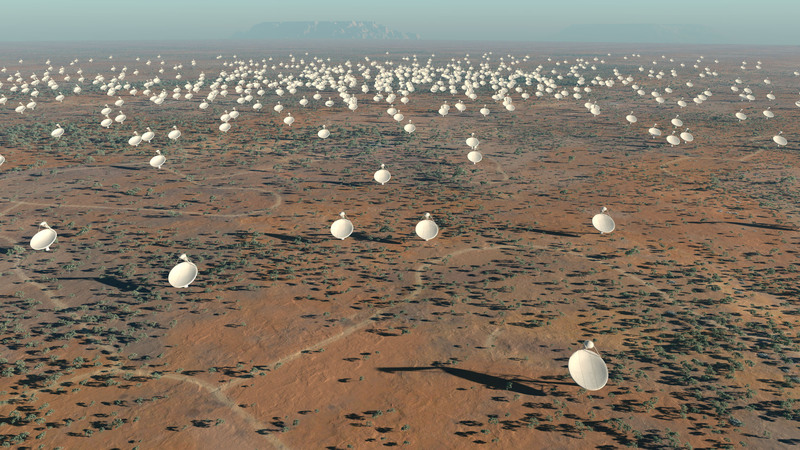 The MeerKat is part of the larger Square Kilometer Array, an effort to build a world-wide telescope spanning continents. If you're looking for God, He's right here in the middle. Look at these energetic balls emanating from the Source. They're saying this is a black hole...There's no black hole here - this is absolutely the energetic center of the Milky Way, where the Birkeland Currents are emanating and connecting to galaxies infinitum. One of these may tether right to us. One wonders what else the Square Kilometer Array might have been built built for, besides viewing Galactic Center? Especially as the project cost has no ceiling in sight, forcing Germany to drop out? And as intellectually ready as educated-humanity is to progress with these massive projects, such as the SKA and CERN, how can we take deep satisfaction in such blank-check-funded achievements, when smaller funds could be directed into simple irrigation projects in drought-stricken places that could potentially save millions of people in hard-working subsistence farm families from starvation - notwithstanding the earth upheaval in-progress that is altering everyone's climate? At what threshold do we know that we're morally ready to go to the stars, or to other dimensions? And, are we really ready to go to the stars, with what we've allowed to happen on this planet such as the Pacific Garbage Patch, ruination of the Gulf of Mexico for yet more oil, and the list of our sins is endless. It is as if we humans are 7.6 billion toddlers running around with unlimited access to every device and gadget that cuts, combusts, explodes, disintegrates, and/or destroys everything in its path. And we never clean up our mess. Thanks for your food for thought.